Empowering Our Patients To Reach Their Full Potential! CLICK HERE FOR A FREE SPINAL DECOMPRESSION REPORT THAT MAKES SENSE! 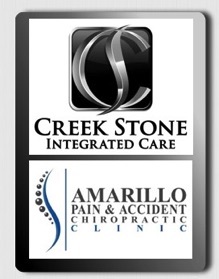 Amarillo Non Surgical Spinal Decompression in Amarillo, TX is part of Amarillo Pain & Accident Chiropractic Clinic which focuses on Cold Laser Enhanced Spinal Decompression therapy and treatment to help alleviate pain caused by degenerative disc disease, disc herniation, bulging disc, sciatica, facet syndrome, radiating nerve pain in arms and legs, etc. by using cold laser therapy in combination with non surgical spinal decompression. We believe that we can help you get back on the floor to play with your children or grandchildren again. We believe that we can get that weekend warrior back on the field or back on the court. We believe that we can allow that injured worker to rejoin his/her crew so that they can start providing for their families again. We believe that we have the answer to getting you back to being active and back into your life. All through the use of non-surgical spinal decompression. We believe we can change your life and that the right choice can change everything. We are the FIRST Kennedy Neural Flex decompression practice in the Texas Panhandle and one of only 5 practices including Amarillo, Lubbock, and everything in between that is officially certified in the Kennedy Decompression Technique! We are excited to have our Kennedy Decompression table and the incredibly advanced technique that comes with it! We have completed the Kennedy Decompression System Certification course! We knew that it was an investment in our patients and an investment in our results. And we were right. There is certainly something to be said about having the comfort of knowing that you are being treated in an office that has taken the time, spent the money, and put forth the effort to obtain actual certification in the Kennedy Decompression Technique. We are patient-driven and goal-oriented when it comes to you, your condition, and your results. 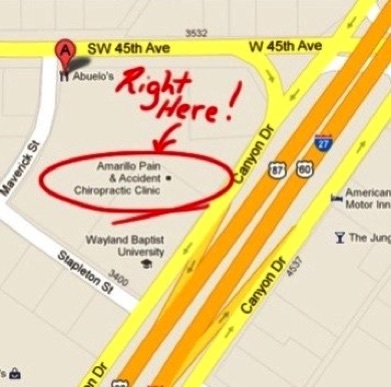 There is ample research that tells you why we believe that you have found the right place for the answers to your pain whether it is acute or chronic. Click HERE to read all about the research that backs up this amazing treatment! Call 355-3000 and set up your consult today! • Shooting Pain Into Arms or Legs? • Already Tried Spinal Injections?